Overnight oats are LIFE, ya know? Especially these easy Strawberry Cheesecake Overnight Oats! Creamy, sweet, wholesome, heavenly. These oats are a great way to make breakfast easy and delicious! By now, you’ve probably figured out how obsessed I am with overnight oats. 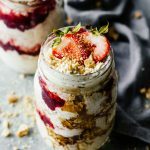 While I do love savory breakfasts like the Poached Egg & Avocado Breakfast Salad or the Easy Whole30 Breakfast Casserole, sweet breakfasts like these Strawberry Cheesecake Overnight Oats are basically my love language! There’s nothing like being able to walk up to your fridge first thing in the morning and have breakfast ready to go in a mason jar! It’s the BEST, y’all. Cheesecake for Breakfast, Is This Healthy? Yes, yes, yes! The best part about these overnight oats is that they are healthy. They’re made with rolled oats that are full of fiber, nuts in the form of nut butter and nut milk which are rich in vitamin E and a good source of calcium. Fresh strawberries and maple syrup are natural sweeteners that are full of flavor! Overnight oats are eaten cold because they’re left overnight in the fridge where they soak up all the delicious flavors and become creamy and comforting. They’re great because you can just grab and go in the morning when you’re in a rush or you have a healthy snack waiting for you in the fridge when you need one. If you do want to eat them warm you can heat them in the microwave although the texture will be softer. These Easy Strawberry Cheesecake Overnight Oats last up to 3 days in the refrigerator! And good thing, because life has truly been crazy lately. We’ve finally started painting our new house, so it’s been late nights and early mornings between work and working on the house! Life is busy, to say the least, and these overnight oat recipes are saving my life RN! Make these Easy Strawberry Cheesecake Overnight Oats in about 5 minutes. Yes, you heard right, friend! 5 minutes. 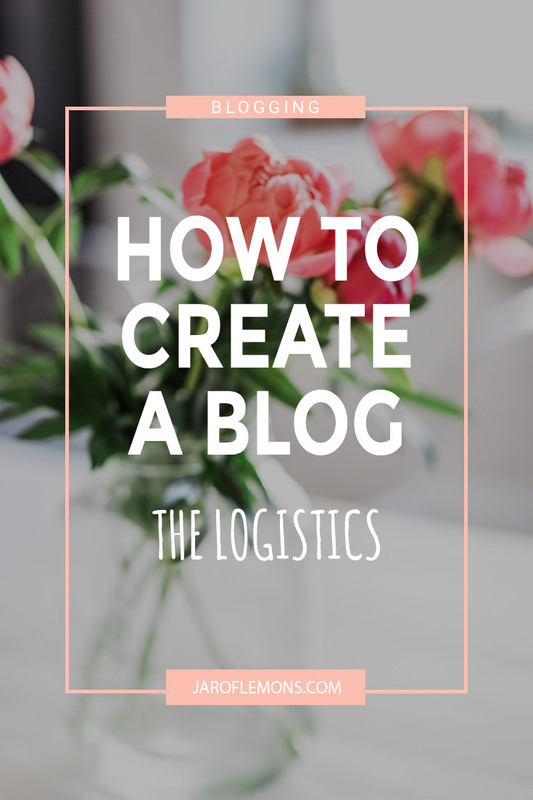 They’re so easy to make! All you’ll need are rolled oats, almond milk, maple syrup, cashew butter, gluten free graham crackers (optional, but necessary), greek yogurt, and fresh strawberries. Mix it all together in a mason jar, then top with strawbs! You can store them in the fridge for up to 3 days. You can use any fruit you prefer, all berries would work really well. You can use any nut milk. Adjust the sweetness with maple syrup and you can also go for unsweetened nut milk. Mix the rolled oats, graham crackers, and cashew butter together. Add in the almond milk, maple syrup, and greek yogurt. Place the overnight oats in a mason jar and top with fresh strawberries. Cover with lid and let sit in the refrigerator overnight. 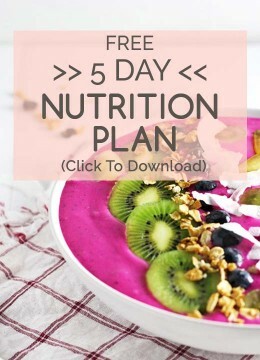 Looking for more easy and quick recipes to help you stay on track? 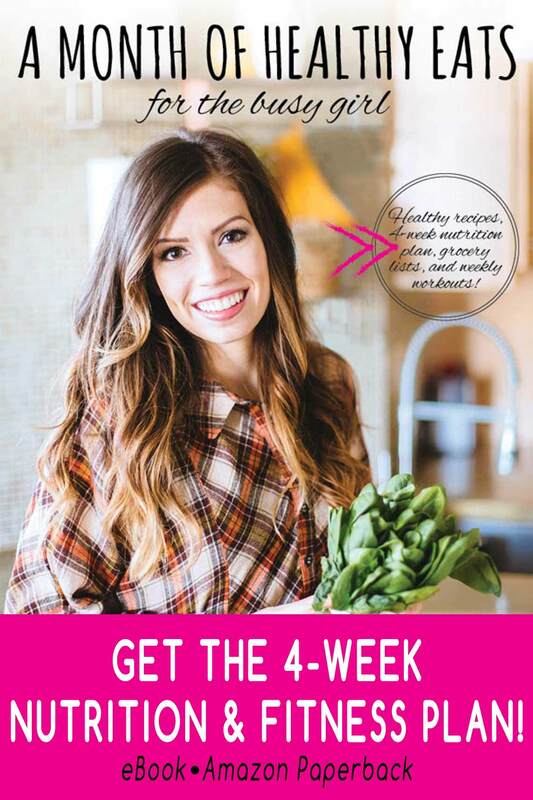 Check out A Month Of Healthy Eats For The Busy Girl! Yum, I’m going to make these for Valentine’s Day! I’m not usually an overnight oats fan but say strawberry cheesecake and I’m IN. Will be making one little substitution (yogurt) being dairy free, but otherwise I’m very excited to try this. That’s perfect, Tam! Enjoy the recipe! What fabulous concoction for breakfast! Dessert for every meal – yes!! !